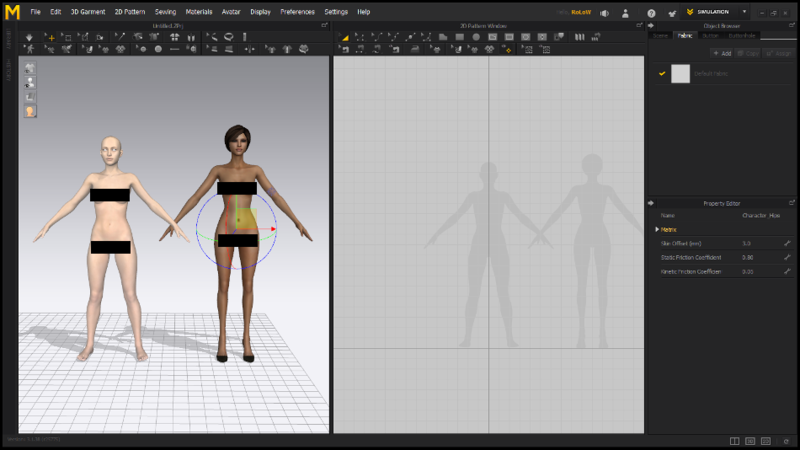 This tutorial demonstrates how to create an avatar for use with Marvelous Designer 6 (MD6) from the latest Genesis 8 Female (G8F) figure released by Daz 3D. You won't believe how easy it really is. Bookmark this page for future reference as it contains all the instructions you need online and in a downloadable plain text file located at teh bottom of this page. This tutorial (including all text, graphics, and videos), herein referred to as the “work”, is provided as-is with no warranties of any kind either expressed or implied. This work contains original copyrighted material developed exclusively by/for Winterbrose Arts and Graphics. The publisher retains all copyright ownership and reserves all rights to this work. This product is only available directly from the publisher or an authorized reseller. If you obtained a copy from any other source, please visit the publisher's website to purchase a legal copy for yourself. * There may be items required for completion of this training that are copyrighted and/or licensed by other entities (ie software, applications, models) by which you must legally abide with their respective copyright and licensing requirements. The publisher assumes no responsibility for any actions taken by users of this work. * You may publish links to this work’s online product page in your social media, in forums, or on other websites. * You may not copy, post, share, blog, tweet, sell, or distribute copies of this work, in whole or in part, by any means or in any form without the prior written permission of the publisher. You may not modify, change or create derivative works based upon this work in any form or fashion or by any method. You may not claim authorship in any form for content of this work. If you do not agree with any of the terms of this license, then do not use this work and leave this webpage. Use of any portion of this work constitutes your full agreement with all of the terms contained herein. You will need to know the default path to your MD Avatars, so please document it at the beginning of Step 3. When using File | Open | Avatar or File | Add | Avatar from the main menu, you can change the load type to either Open or Add in the Scaling popup after selecting file. 1. To compare the G8F Avatar to the default ones; File | Add | Avatar. Browse to default path for avatars (now you will need that path from the previous section). Select one of the default avatars (we chose Female_C_V3.avt), and click the Open button. 2. In the popup, choose Type=Add then click the OK button. You can compare the two avatars to see that the sizing worked fine. This tutorial was written for maximum compatibility with various versions of both Daz Studio and Marvelous Designer. You can choose to export (DS4) and add (MD6) using the default Daz scaling and options. Your purchase of the PDF/MP4 training package helps to support the Artist(s) who created this product, and promotes the creation of further training packages for quick and easy solutions to using Marvelous Designer. If you are interested, please consider purchasing the complete training package for Creating Marvelous Designer Avatar with Daz Genesis 8 Female (G8F).